Hello Lovelies! This morning I was at the Lush creative showcase and I enjoyed it so much that I just knew I had to share it all with you this evening. 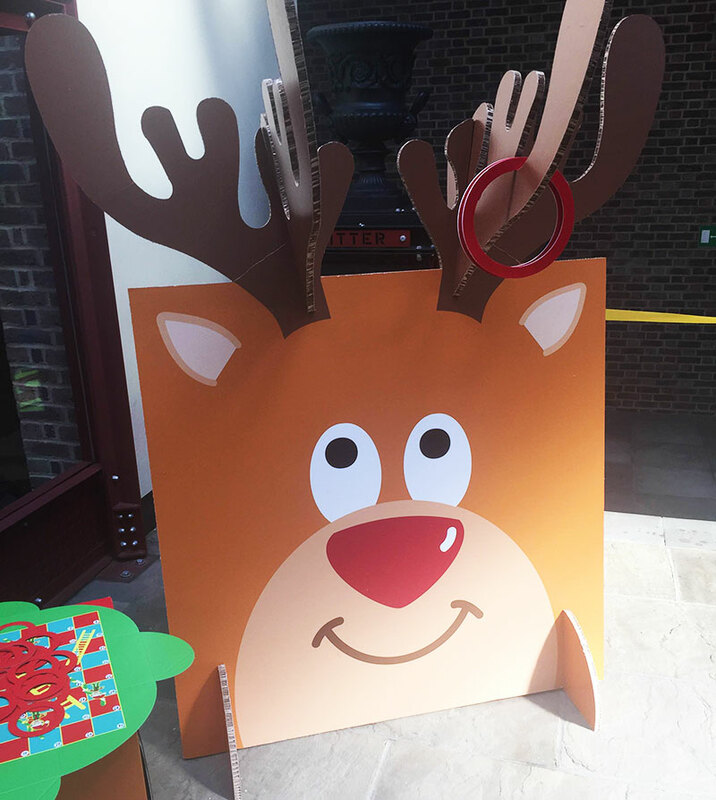 I'll be showing you new products from the Christmas and Halloween collection, as well as some of the fun things that happened at the event today. 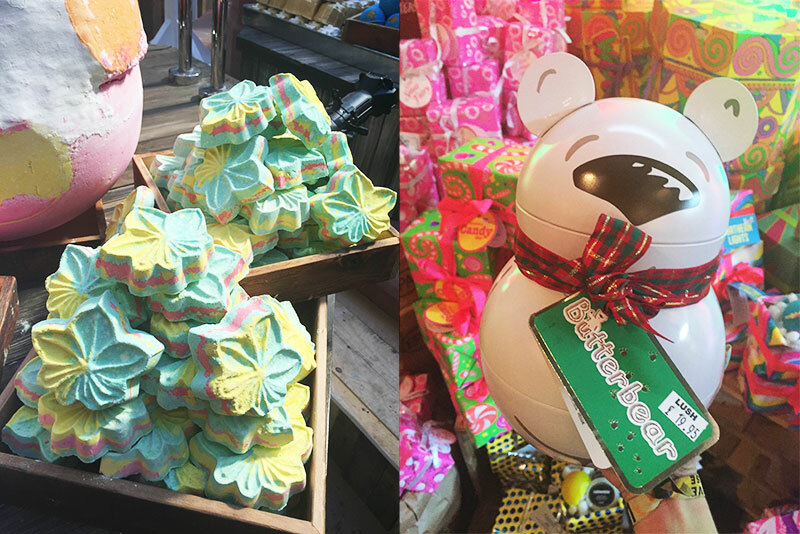 It's going to be a long one - so go grab a cup of tea, and let's me tell you about all the Lush amazingness I saw today. 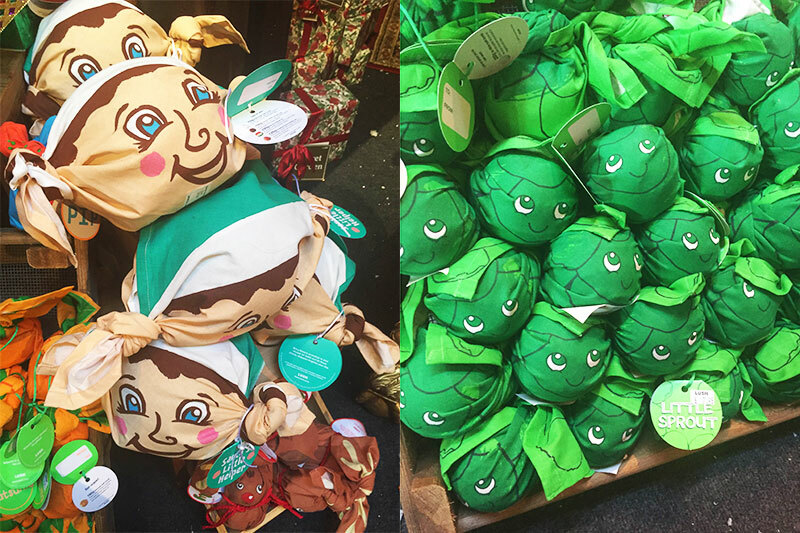 As if the Lush Christmas and Halloween Collections weren't enough there was even a Lush Kitchen Exclusives store with exclusive products as well as t-shirts and tote bags. Even more amazing there were GIANT bath bombs, like seriously they were huge. I'd love to have tried one, but I definitely can't dish out £12.00 on one bath bomb. 1. Over and Over Bath Bomb (£4.25) Being half cocoa butter, Over and Over hardly managed to survive the heatwave but it still has the power to pick you up with lime and fennel oil. 2. Ne Worry Pas Bath Bomb (£3.95) With calming Bergamot and Cedarwood, this bath bomb helps to wash your worries away. I can't wait to see how it dissolves! 3. Metamorphosis Bath Bomb (£4.25) This mysterious looking bath bomb is a mixture of black pepper and myrrh, that is meant to give you a comforting and tranquil bath (if not dramatic!). 1. So White Bath Bomb (£3.75) Technically not a newbie but this Lush classic has had a makeover. Say hello to the new apple shaped So White! Smells of apple too by the way. 2. Jester Reusable Bubble Bar (£6.50) One of my favourite new products this year, Jester is a cheerful reusable bubble bar with a gorgeous citrusy smell just like Brightside Bubble Bar. Apparently the soak's on you (got to love a bit of Lush banter). 3. Mistletoe Bath Bomb (£4.25) Lush say this will conjure up a fairytale soak that's as romantic as kisses beneath the mistletoe. And with Jasmine and Vetivert it's definitely on the more herbal side of the Christmas collection. 4. Shoot For The Stars Bath Bomb (£4.25) Shoot For The Stars is one of my favourites so it's nice to see it back, although this time it's had a bit of a makeover. I can't quite put my finger on what the scent is, but it smells quite sweet with caramel tones. 6. 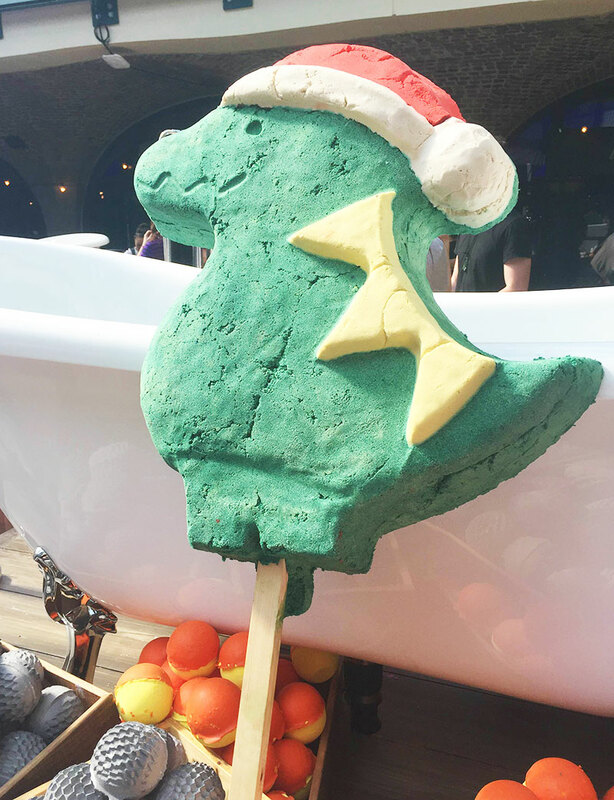 Santasaurus Reusable Bubble Bar (£5.95) Whoever came up with the idea for this deserves a hug, officially one of my favourite Lush designs ever. Not really sure what the scent is here, but it smells quite fresh and herbal to me. 7. Snowie Bubble Bar (£4.25) This adorable snowman is a tribute to the late David Bowie, and that's enough for me to love it. This one has a strong herbal scent, but again no clue what the actual scent is (so helpful I know...). 8. Autumn Leaf Bath Bomb (£3.75) Wow, wow, wow this bath bomb just makes me want it to be Autumn already, it's just too pretty. Not so sure I'm a fan of the scent because it's quite musky, but it looks like it will be stunning in the bath. 9. Northern Lights Bath Bomb (£3.95) Northern Lights is back (yay!) with a new look and I'm in love. If its old version is anything to go by, this will give you a stunning out of this world bath. 10. Monster's Ball Bath Bomb (£4.25) My bath bomb looks a little battered but either way how cute is this little monster? It has a spooky mixture of Lime and Neroli, and a cocoa butter eye. 11. Pumpkin Bath Bomb (£3.95) A simple design, but I'm still won over by this Pumpkin Bath Bomb. The scent is meant to evoke the smell of home baking, with a gorgeous mix of vanilla and cinnamon to add some spice. 12. Ruby Red Slippers Bubble Bar (£3.95) I love it when Lush do anything based off a film or book, so these Ruby Red Slippers from The Wizard of Oz have just won me over. These glittery shoes smell pretty spicy too. 13. 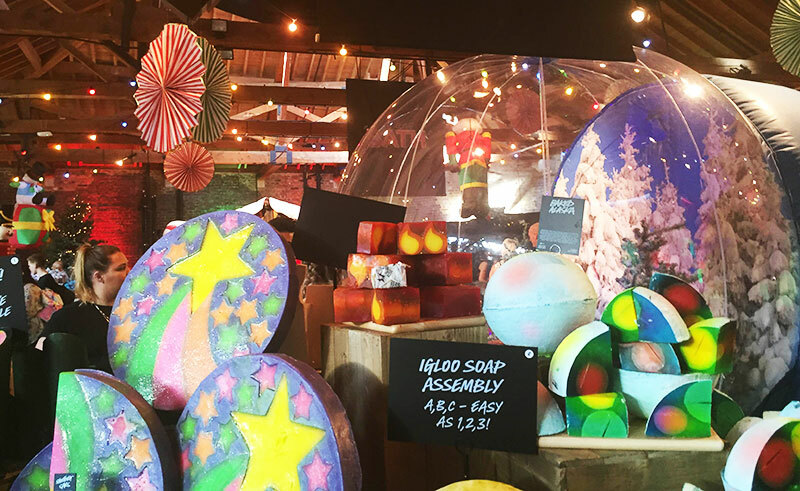 Boo Bath Melt (£?) Didn't see this one anywhere except in a gift set but Boo is a simple white cone shaped ghost bath melt with calming mimosa and warm ginger. Phew! That was a long post! 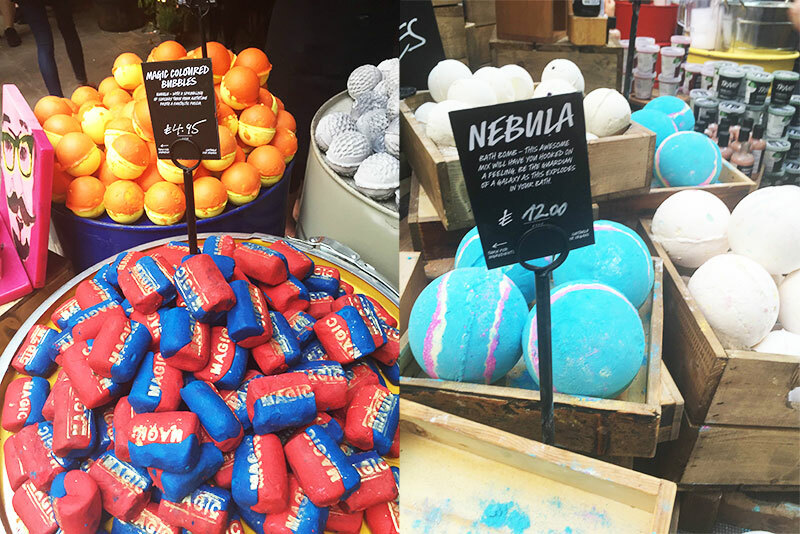 Let me know what products you're excited to try out, and also I just want to say a big thank you to Lush for putting on such an amazing event (as always). Have a great week lovelies! 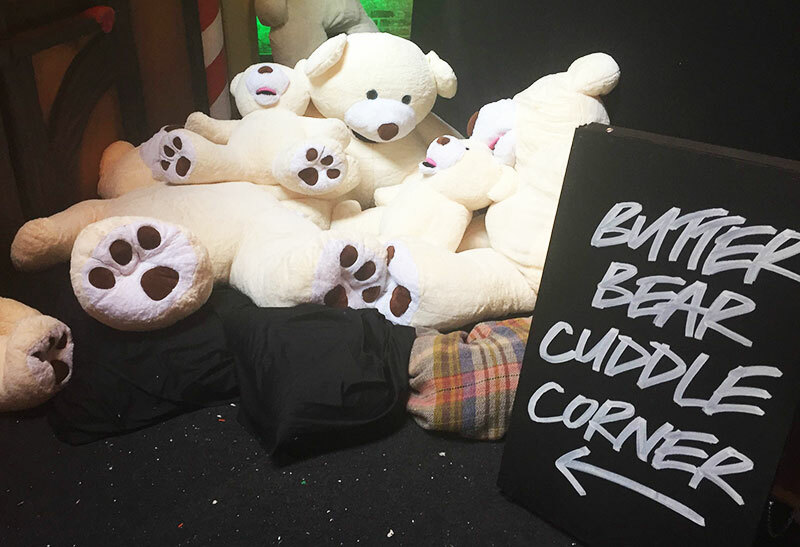 This is probably the best blogger event EVER. You must have had so much fun! Santasaurus is just the best! I need it in my life now, I can't wait to be able to see the Christmas range in stores. I followed the entire thing on your Insta stories and it sounds like you had the best time ever! I cant wait for these to hit stores! NEED! The showcase look amazing I would have loved to have gone! Great post lovely! I love the Shoot for the stars bath bomb to!! I must say I really want to get the Santasauras it looks so cute!! Looks like my husband will be getting somethings for Christmas out of there for me lol!! Oh my gosh bet you had the BEST day ever!! I'm soooo jealous, it looks incredible! I'm so so excited for the Christmas range, some of my all time favourites are coming back, and I genuinely cannot wait! I'm so gutted Yog Nog isn't back! 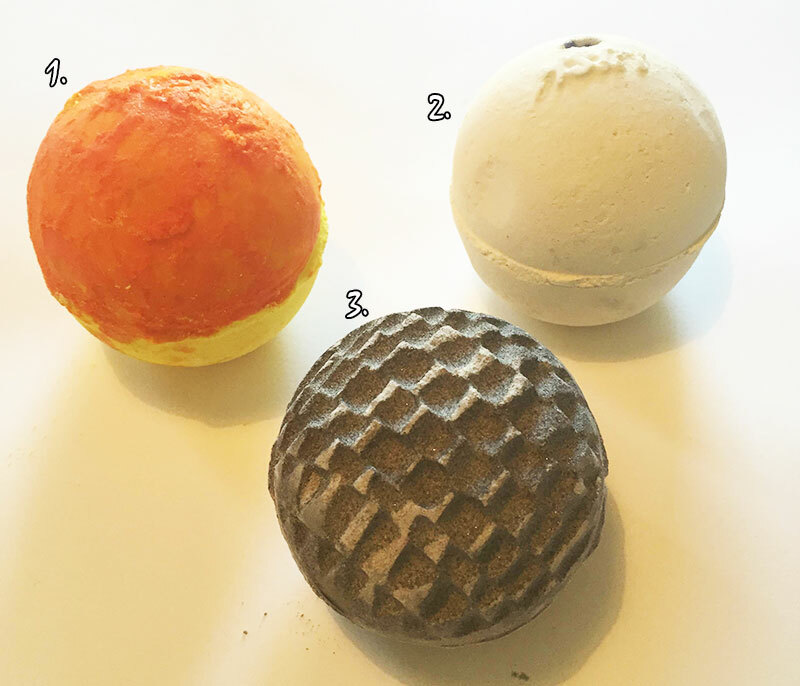 I loved that bath bomb last year :( oh well - if Shoot for the Stars is caramel scented it might be a good substitute and Never Mind the Ballistics is DEFINITELY heading into my shopping basket! Ruby Slippers is actually a returning product! 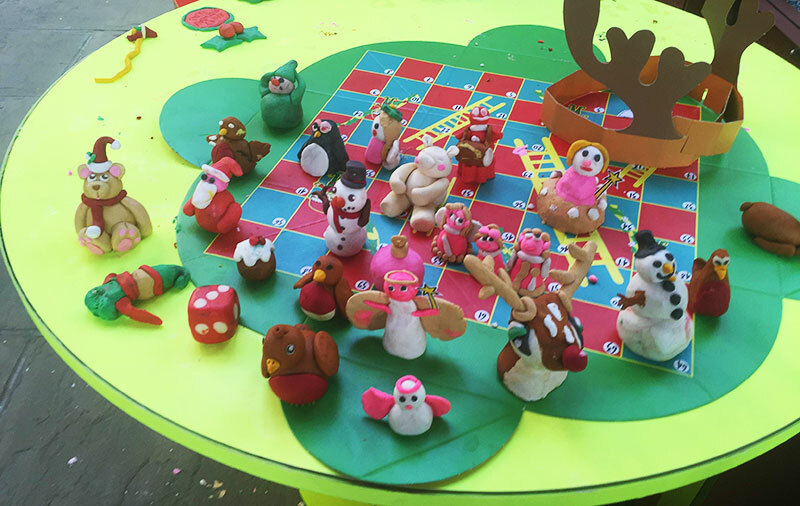 They brought this out YEARS ago (I think during my first Christmas as a Lush fan which would have been at least seven years gone??) but it was a round shape like the original Sunny Side. I'm liking its new look! 9th photo down. - theres 3 bath bombs. You labeled them #1, 2 & 3 .. 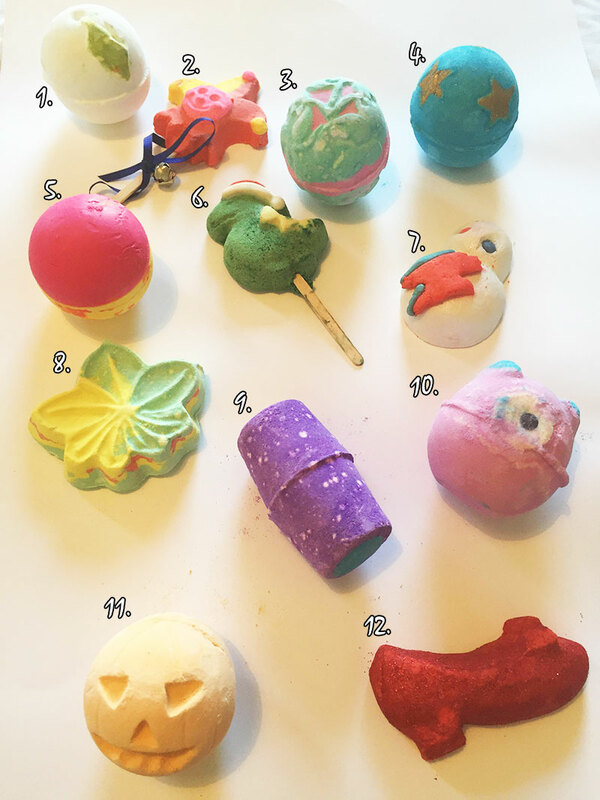 In ur text Right under that photo you labeled #1 as "over and over" bath bomb.. Is that an error ? It looks super similar to "never mind the ballistics" ?? This event looks so amazing! I was invited to the Lush Christmas launch in my country too but had to cancel last minute :(. Can't wait to see all the products next week though!